For the past five years I have shopped kids’ consignment sales to save money on children’s clothes. I’ve gone to the sales when the lines were miles long and the warehouse was overflowing with people, and I’ve managed to figure out how to go when there are a lot less people fighting over the best items. 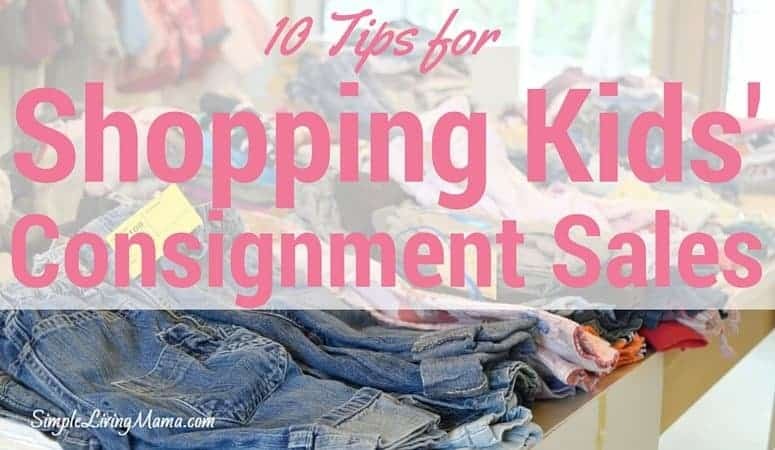 My very favorite way to save money on not only my kids’ clothes, but also baby gear and books is to shop kids’ consignment sales. Here are my best tips! Volunteer or consign to shop early. I highly recommend shopping early if you’re looking for big ticket items. Volunteers get the first pick of all the goodies. Consignors generally get to shop after the volunteers. One of the consignment sales I participate in also gives early passes to new parents, and those signed up on their email list. At the last consignment sale I shopped at, I got to shop before opening day, but of course got to shop after the volunteers and consignors. Baby gear was slim-picking by that time. There was only one high chair left and two jumperoos. Plan to go with a friend. It’s more fun to have a partner to shop with! Plus, they can help you hold onto stuff and they are very helpful when it’s time to leave and load up your loot. It’s easier if you can shop without your kids. My kids usually go with my husband and me, but if I could leave them with someone else, shopping would be easier. The lines for check-out can be LONG, and kids start getting antsy. Bring a stroller or large laundry basket to hold your haul. A stroller or large laundry basket will help you carry all of your goodies. If you’re buying a lot, your hands probably won’t be able to hold it all! Know your budget before you go. Bring a calculator with you to help you stay on track. I like to go check out the big ticket items first. They usually have a tag that you can tear off if you want to purchase that item so you don’t have to carry the item around with you. Then I check out the clothing. Once I have all of my clothing, I come back to browse books and toys. Be picky in which clothing items you purchase. I prefer to buy name brands when I’m shopping consignment. Really look the item over and make sure there are no tears or stains. Be picky in your choices. I also really evaluate the price. I’ve noticed some moms price their items way too high. If the price is close to retail, I probably won’t buy it. Know your children’s sizes before you go. Some suggest measuring your child before you go. I do not do that, but I do know my children’s sizes and I may buy up a size for the next season. Check the tag in the clothing to make sure it matches the size on the price tag. I’ve bought a few items and gotten home only to find out that the item was actually a size smaller than what was advertised on the tag. That was very frustrating! Buy whole outfits if you can. For my daughter’s clothes, I prefer to purchase entire outfits. I find I spend less money that way. For my boys, I purchase a few bottoms and then several tops to mix and match. I do still look for whole outfits and snag those if they are a good deal! 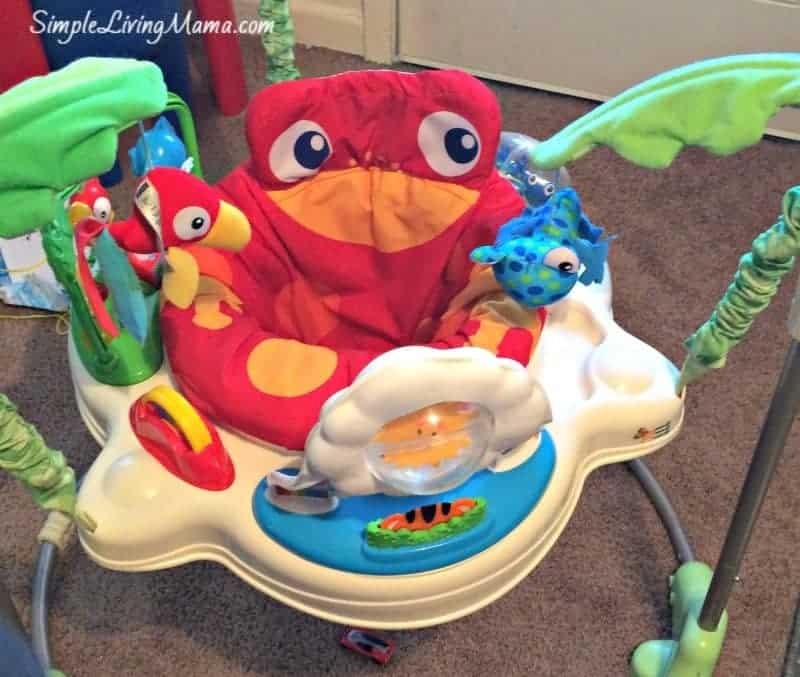 Here’s what I bought during my last kids’ consignment sale! Coordinating Easter outfits for all five of my kids. A pair of shoes for baby #4. An outfit for my new baby girl. 2 pairs of pants for my oldest. I thought I did pretty well! I usually budget around $300 to buy wardrobes for my children that aren’t getting hand-me-downs, and to get some filler outfits for the other kids, but we are pretty stocked up for the spring so I didn’t need to buy many clothes. 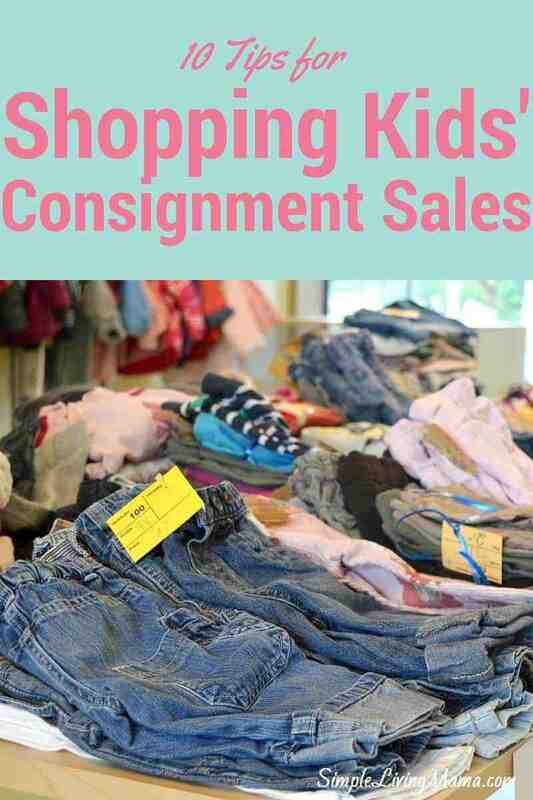 Do you shop kids’ consignment sales? What are your tips? The stroller helps so much! It really helped when you said that it is important to be picky when buying a child’s clothes. As you mentioned, the price should also be appropriate for the quality of the garment. I will keep this in mind because I have to make sure that I will not be wasting my hard-earned money. Actually, I need to keep in mind my budget because I am still paying for the loans that I have before. Thanks!